Government-by-proxy and intergovernmental relations profoundly affect the public administration of foster care. 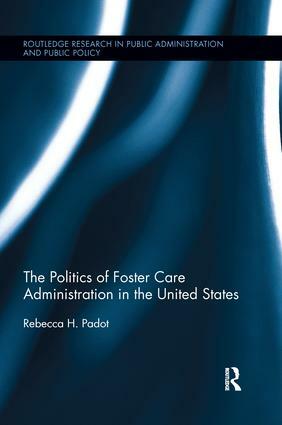 Using examples from foster care systems in the states of Delaware, Michigan, New York, and Rhode Island, Rebecca Padot eloquently combines a rigorous methodology and theory work to expose the conditions under which foster care outcomes can be improved. The cases selected suggest that the federal government has increased its focus on measuring the performance of state programs while simultaneously decreasing its funding of state foster care programs and offering the states very little management or mentorship. Padot turns the page and recommends administrators place a greater priority on building community partners, integrating the advice of mentors, providing leadership from public managers, and cultivating relationships with the federal government. An original and timely resource for scholars and practitioners, this book represents a significant contribution to our understanding of how leadership and management variables may be associated with more positive foster care practices and performance in the United States.